A vital and often lifesaving piece of equipment for the serious falconer. This item is also contained within the first aid kit ......... when we have them! 10ml. 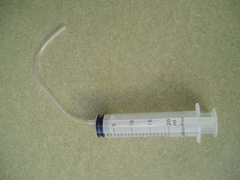 syringe fitted with correct size tubing (complete with simple instructions). A far superior product to our old favourite of days gone by - wound powder. 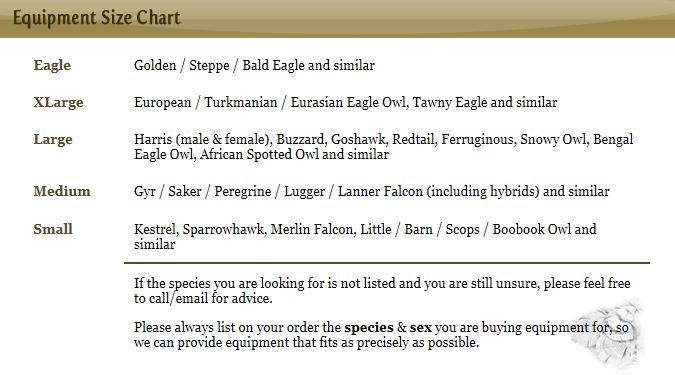 Recommended by our leading avian veterinarians. I don't know what's in this product but it is pretty amazing. A 'must have' item for the hawking bag. Enlarge Photograph ALL proceeds go to the Campaign for Falconry. 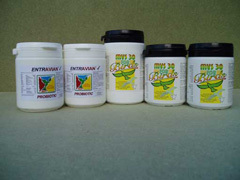 Pyrethrum based, safe and highly effective anti-mite spray for birds. 150ml pump spray. Enlarge Photograph Is a mineral rich concentrated vitamin supplement, specifically formulated to fulfil your bird's total dietary needs when added to food during moulting, breeding, rearing, hunting and other periods of stress. Preventing or stabilising digestive disturbances that cause wet vents or droppings. Improves bird's ability to maintain good health by supporting the immune system. Provides instant source of working energy. Provides symptomatic relief and improved nutrient absorption. Effective against E. coli, Salmonella, and other harmful bacteria. Helps birds cope with the stress of:- transportation, breeding, trauma, change in diet, extreme exertion, diarrhoea etc. Vykil - A highly concentrated and safe disinfectant for optimum hygiene conditions - made specifically for use with birds but may be safely used in any animal husbandry situation. Its broad spectrum, prolonged activity reliably kills viruses, bacteria, fungi and spores that are regularly found in aviaries. Set of five diamond coated coping files for use with the larger hawks and falcons. These come in a sturdy case. Not currently as shown in photo, these are miles better. New photo when I remember! Coping needle files for use with the smaller bird's beaks. The aviary heater can be a life saver.....simple as that! 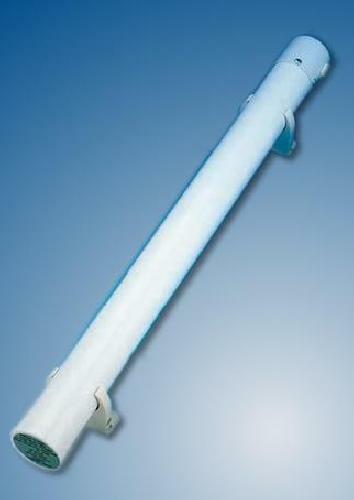 This heater is 500mm long and uses a mere 55w of power, so it's cheap to run. It is in a white finish, is CE certified for safety and comes complete with mounting brackets and 1 metre lead fitted with 13amp plug.. Fix this somewhere near your bird's night roosting perch and it will be sufficient to keep the immediate area temperature to a comfortable level on even the coldest night. Your feathered friend will love you for it.